Each of us is here on the big island of Hawaii, at Makua Lani Christian Academy, fulfill a role that God has for us. We are charged with enhancing the lives of young people spiritually, academically, athletically, and artistically while reaching out to and taking the Love of God into our community. 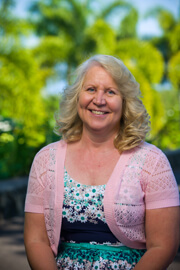 Makua Lani began as a prayer through a small group of mom's seeking a Christian education for their children. Through those prayers, a dream was made into a reality as the community came together to create the school in 1992. The academic program at Makua Lani is designed to provide students with a Christ-centered spiritual, academic, and physical foundation that will produce individuals who will be Biblical thinkers capable of serving the world for Christ. We help prepare graduates for admission into college and/or universities, as well as assist them in other post high school pursuits such as missions or the work force. Makua Lani is accredited with the Western Association of Schools and Colleges (WASC) and the Association of Christian Schools International (ACSI). The best way to see and experience the culture at Makua Lani is to book a tour or an opportunity for your student to shadow one of our students for a "day in the life" experience. Applying to MLCA is a process that our admissions team is here to help you through. Start today, and take one step at a time.